Based on writer Ed. Weinberger’s true-life experience, A MAN AND HIS PROSTATE is the story of a man who discovers his inner self in more ways than one. A MAN AND HIS PROSTATE is a seriously funny show, based on a serious subject. 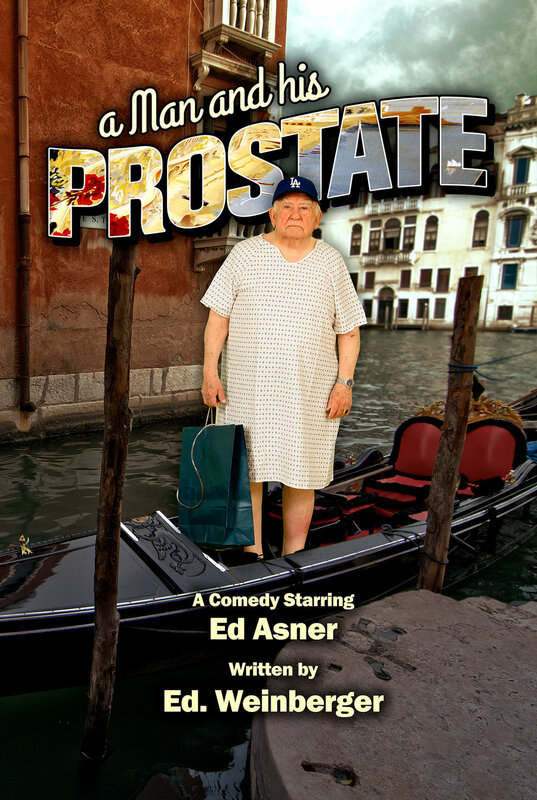 Emmy winning actor Ed Asner guides the audience through a hilarious life-changing journey in a foreign hospital involving cold hands, painful exams, exhilarating enemas, and the fear of post-surgery impotence. Prostate cancer is no laughing matter, but A MAN AND HIS PROSTATE puts a decidedly funny spin on what it’s like to develop the symptoms in a foreign country where you don’t speak the language. Interested in booking A MAN AND HIS PROSTATE? We welcome your inquiry. Please e-mail us with the details and we will happily consider your request.